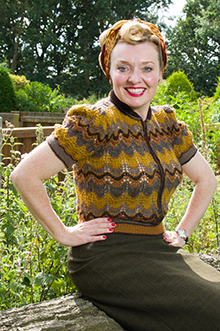 Widely acknowledged as “Britain’s finest Professional 1940s Entertainer” Fiona has gained a reputation for her outstanding showmanship and gorgeous glamour. Her trade marks are her superb musical arrangements and close harmony work. This she does by recording the two harmony parts onto her backing track and then sings the melody line live in performance making her act unique and unlike any other. With 11 fabulous forties shows to choose from Fiona has become the artist of choice headlining at many events in the UK and Northern Europe. Fiona is also able to sing in French and she has represented her country on many occasions singing in France and Italy. 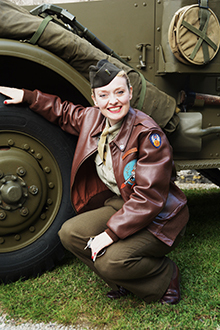 A regular visitor to Normandy Fiona has been involved in the D-Day commemorations since 2004 performing at the British and American beaches Sword, Gold and Utah. 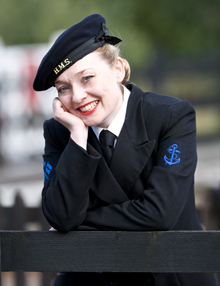 Fiona was engaged to sing for the D-Day 70th anniversary in Arromanches which was attended by the Duke and Duchess of Cambridge and she will be returning in 2019 to perform at the famous Pegasus Bridge for the 75th D-Day commemoration. 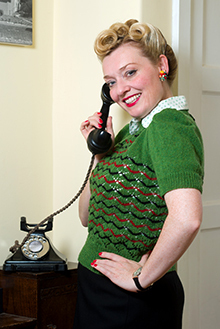 From “The Girl Next Door” to “Glamorous Goddess” Fiona Harrison is an artist with the skill and know-how to bring the thrill and ambience of 1940s Hollywood to your event anywhere in the world! 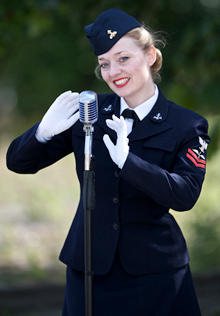 If you are booking a “Big Band” why not feature Fiona as a special cabaret performance and allow your audience to be amazed by Fiona’s superb singing voice and impeccable presentation! 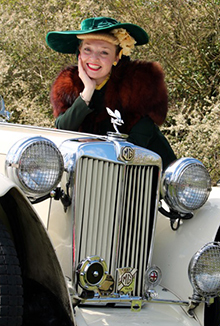 Designed specifically for Steam Railways, Heritage and Re-anactment events in mind. 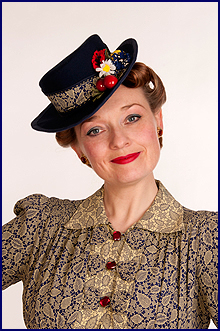 Fiona is able to provide a choice of 3 x 45 minute non repetitive costume shows daily from any of the titles listed below + an optional Friday or Saturday night cabaret. 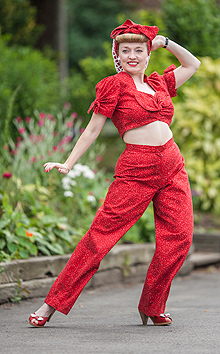 Both sing-along, Lindy Hop and social dance music can be provided and catered for all performed in authentic uniforms and glamorous costumes of the period. 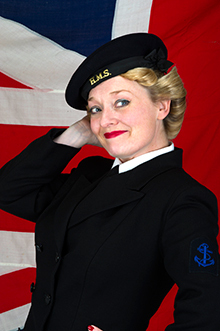 Sing along with Fiona as she performs in WRNS uniform and includes those nautical favourites from “All the Nice Girls Love a Sailor”,” Heart of Oak” to “On the Crest of the Wave” as featured in the popular film “The Gang Show”. By far Fiona’s most popular sing – along show as she takes the rank of Lance Corporal and sings a selection of well loved tunes from “ Mairzy Doats and Dozy Doats,” “Run Rabbit Run” to Lilli Marlene”, all performed in ATS uniform and concluding with a patriotic Vera Lynn flag waving finally. 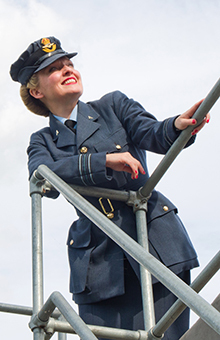 From “Dambusters” to “Straighten Up and Fly Right”, Fiona is a Nightingale who can mix romance with swing. 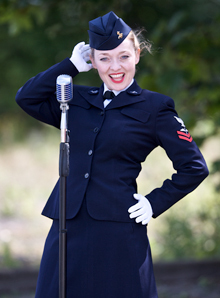 From American jive to British marches Fiona performs as a Squadron Officer in full WAAF uniform. 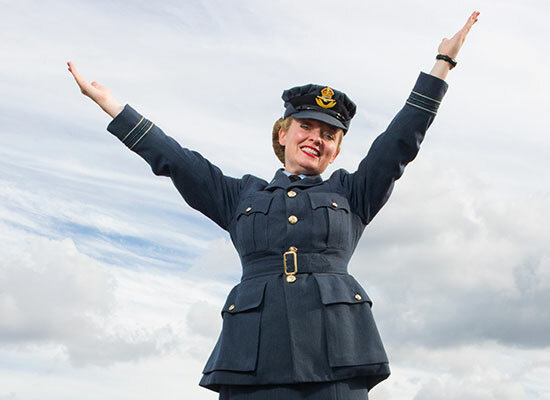 This show is ideally suited to RAF functions and Mess dinners and can be tailor made to suit. 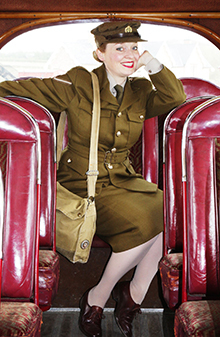 Get ready to experience the best in 1940s entertainment as Fiona steps out on stage as a US WAC. 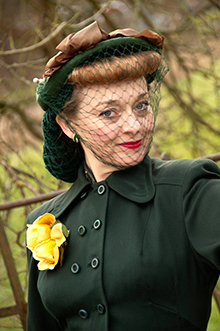 This show is fast, exciting and full of bounce as Fiona swings and Jives her way though the top Big Band melodies of the 1940s. 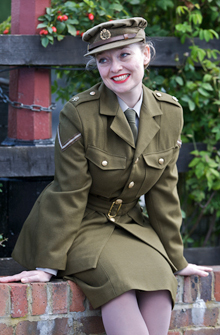 Performed in authentic WAC uniform Fiona takes the rank of 2nd Lieutenant inspiring the imagination and invoking memories of the past. A Unique, dazzling W.A.V.E.S. 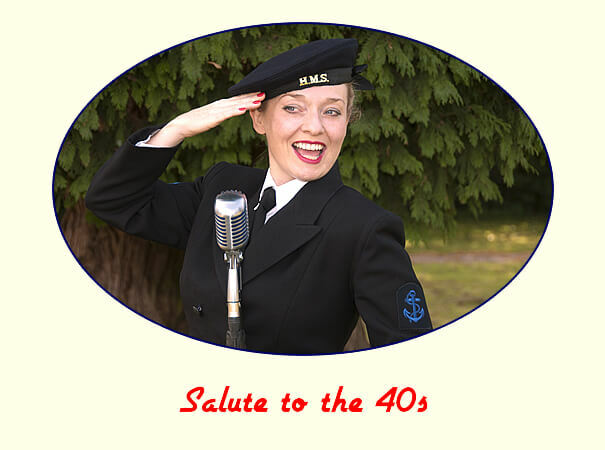 show, performed in authentic uniform, featuring the hottest musical swing tunes of the 1940′s with a glamorous American “South Pacific” flavour. 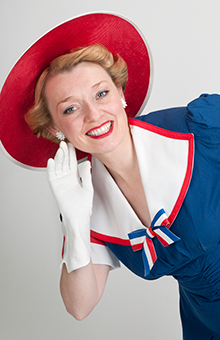 An all American show inspired by the music of The Andrew Sisters, Glen Miller, Broadway and Hollywood musicals. 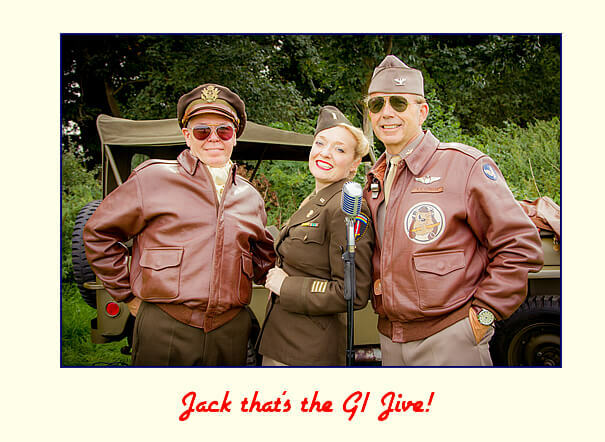 This show is packed with classic American foot tapping tunes from the 1930′s and 40′s. Sing-along with “California here I Come” to “Deep in the Heart of Texas”. 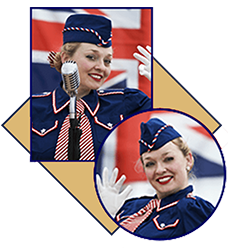 An energetic American swing show offering an alternative to uniform and performed in civilian glamour, Rita Hayworth style! Sit back and be amazed by Fiona’s close harmony work as she sings in triplicate and looks every inch the movie star. 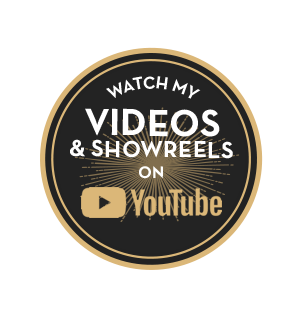 Be transported back to the glory days of the Hollywood musicals as Fiona performs songs made famous by stars such as Judy Garland, James Cagney, Carman Miranda Rita Hayworth and more. 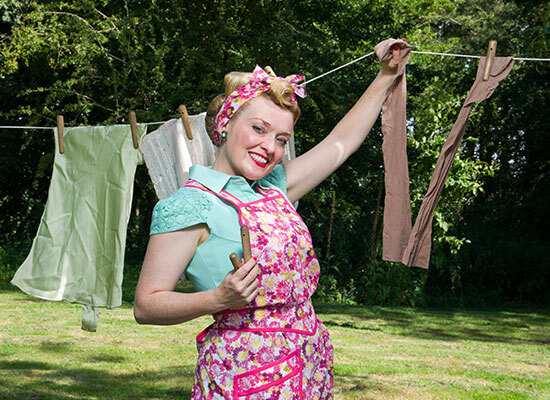 A Vibrant show designed for Lindy-Hop Dancers. 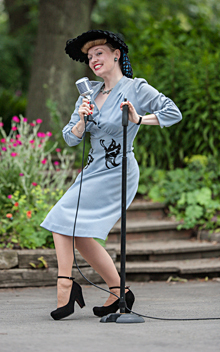 This performance includes tunes for the “Charleston Stroll” and “Shim Sham”. 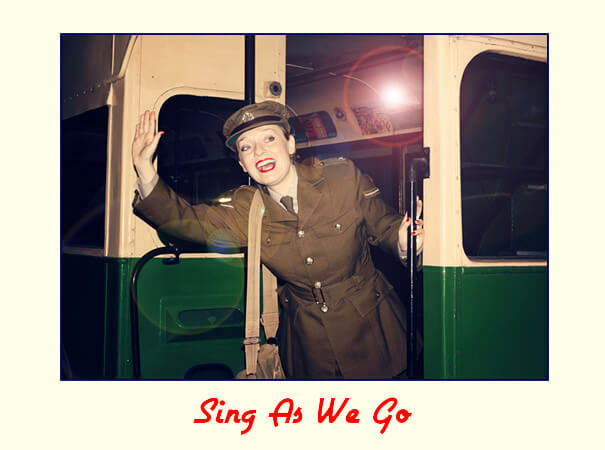 Sing Sing Sing is packed full of great dance music and can be performed as the 2nd part of a 2 x 45 minute set or during your Big Band’s comfort break. Popular dance tunes such as “Cho Cho Ch Boogie” and “There ain’t Nobody Here But us Chickens” are also included. 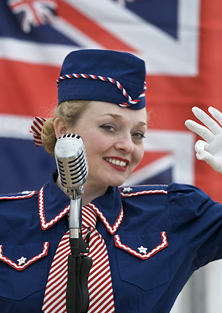 Join Fiona as she takes her audience for a walk down Lambeth Way with popular Cockney sing along tunes from World War Two. Performed in Pearly Queen costume this show includes songs such as “Knees up Mother Brown”, “Leaning on a Lampost”, “I’ve got a Lovely Bunch of Coconuts” and many more! 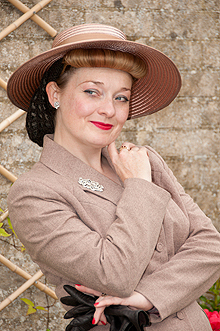 Fiona has invented a bright new character for the 1940s scene – a female singing Spiv who will both charm and delight you like no other! 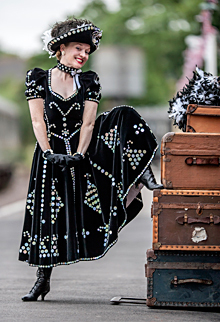 Performed as a 45 minute compliment to one of her three shows daily options or as a 60 minute evening cabaret, Fiona will draw you into this wonderful musical ripping yarn world of Evette whilst wearing pin stripe and moving like no other. To find out more about this stunning show click onto the Evette the Spivette page. Set times can vary in length from 1 x 60 minutes, 2 x 45 minutes, 2 x 60 minutes or 3 x 45 minutes shows daily. Fiona prides herself on offering a personal service and likes to tailor make her shows to suit each client’s specific requirements. 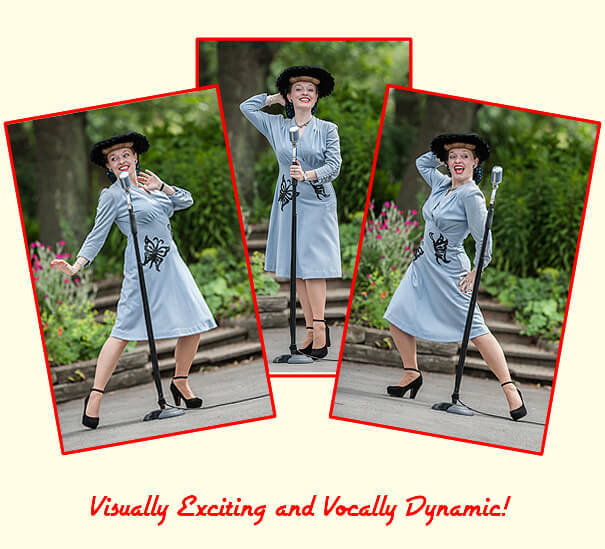 Shows can vary depending on the type of venue and her play list is as extensive as any one you are likely to meet ranging form gentle background music to up tempo swing. 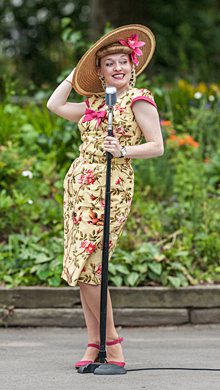 Fiona is also available for Vintage Fairs and Tea Rooms and offers a specially designed package where she is able to perform 20 minutes on and 20 minuets off all through the day. What makes Fiona different is her attention to historic detail and extraordinary repertoire. 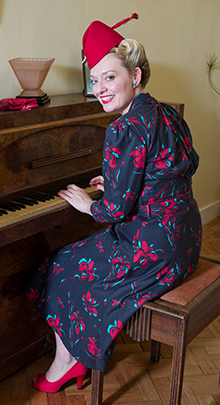 A trained classical singer with a three octave vocal rang Fiona is able to do the work of four people producing shows which are both engaging and skilfully constructed. 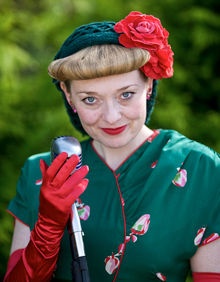 With 11 fabulous forties shows available Fiona can vary her performances and costumes adding that extra special element of surprise, skilfully mixing Big Band and Swing arrangements with Salon and Concert Orchestra line ups – making the impossible possible! 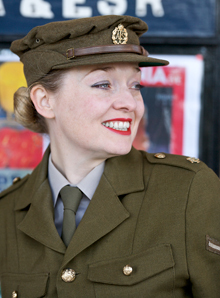 To tie in with the national curriculum Fiona regularly goes into schools and performs the music of WW2. 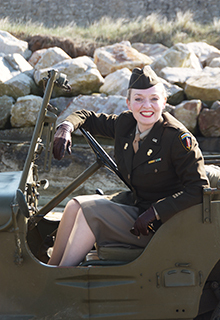 Her lesson plan concentrates on 4 different types of music – Big Band and Swing, Sing-along, Patriotic and Novelty songs – focusing on how social events brought about the changes in popular music. 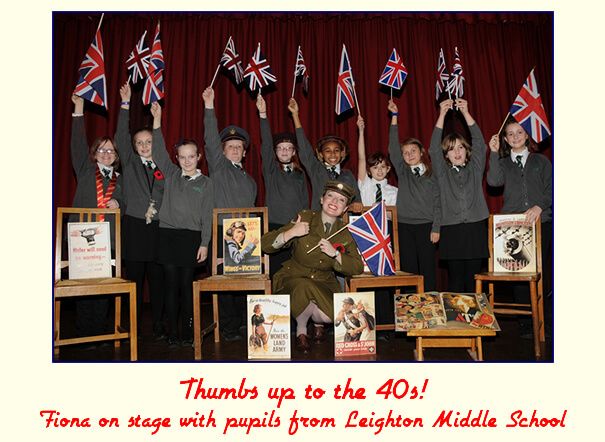 She also brings song sheets, props and visual aids and children are encouraged to make their own Union Jack flags before hand which they can bring along and wave at the end of the show. More details can be found by clicking through to Fiona’s Schools page. 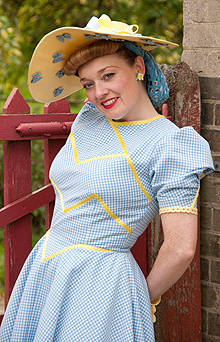 A popular entertainer on the 1940s scene Fiona has appeared on many front covers. 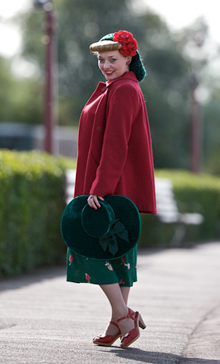 In January 2012 Fiona was featured in the UK’s Top nostalgic monthly magazine the “Best of British”. To read the article click onto the picture below for an enlargement. 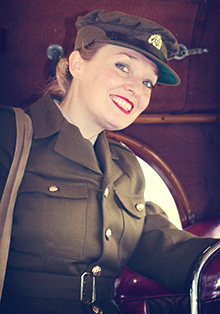 Fiona has since become a regular feature writer for The Best of British Magazine writing on a variety of topics related to the vintage scene. 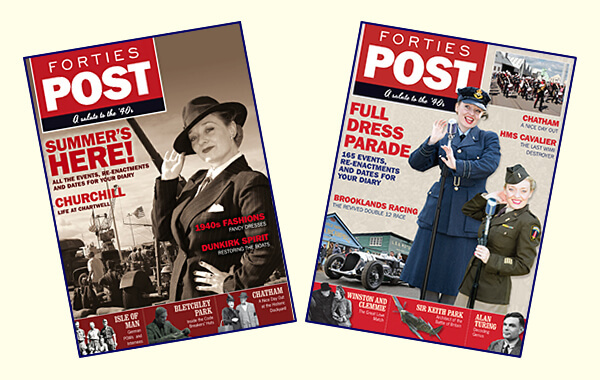 To read her articles click through to Fiona’s Articles Page where you can catch up on her latest 1940s features. 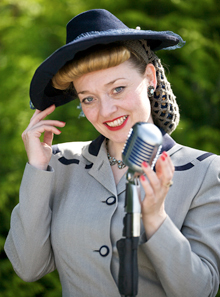 On stage, Fiona is a true professional combining close harmony with glamour and forties authenticity. To find out where she is currently performing please visit Fiona’s fan page on Facebook. 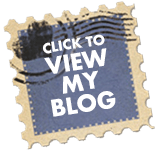 You can also follow her career on Twitter and by clicking onto Fiona’s Blog diary. Additional Shots by Colin Aldous, Alexis Lahaye and Tony Brown.